If he can repair an intergalactic spaceship while it’s blasting through the cosmos, it only makes sense that turning water into steam would be child’s play for the world’s most multi-talented astromech droid. Although, if cartoons have taught us anything, steam blasting out of his head means that R2-D2 could also be absolutely furious at something; probably C-3PO again. 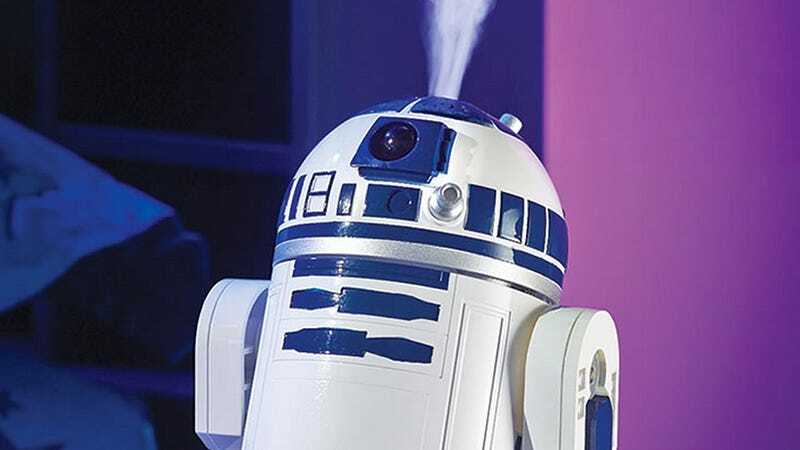 This $100 tabletop R2-D2 humidifier uses ultrasonic vibration technology to turn a half-gallon tank of H2O into a cloud of refreshing water vapor without the need for a heating element or wicking filters to replace every month.